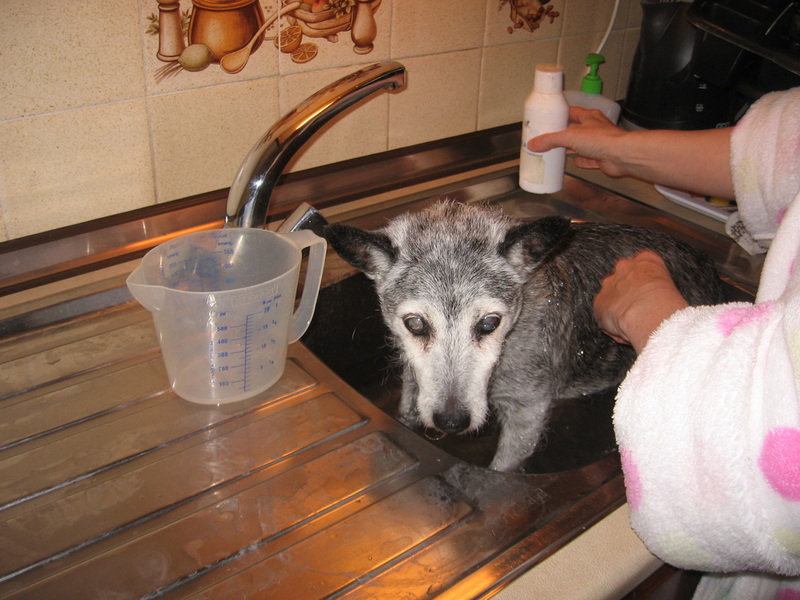 Bath time for Gizmo our last dog who lived to be 19 years old. For most of these dogs it is simply because they have not been trained in even the simplest basic commands and are allowed, or even unwittingly trained, to misbehave. But all basic training, problems, and behavioural issues can be modified at any age! I have always had dogs and am a helpless doggie lover. 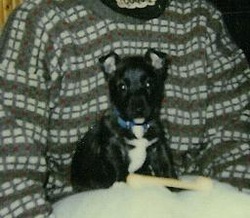 My last dog we got at six months old from friends who were being posted abroad. They asked if we could look after her for a while until they had settled and could send for her, well they never did send for her and Gizmo lived until she was 18 years old. Half Westie half Jack Russell, at home she was the perfect lap dog, but outside she was all terrier! What a perfect combination for what was a perfect dog! I could never love her as much as she loved me, but she lives on in our hearts. 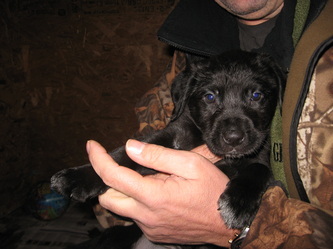 This is Bess, our current dog, she is half Labrador and half Border Collie and we love her to bits. I wanted her to be well trained so after lots of reading and research she was my help and inspiration to become a dog trainer and I 'experiment' on her all the time, she is the reason you are reading this now. She mostly takes after her dad the Collie, so is a bit too smart for her own good! But she has her mother’s good looks. Bess is so good with people and other dogs; she helps me with my dog training sometimes. After a walk she likes nothing better than a trip to the pub to wag her tail and smile at everyone (yes she really does smile). After taking her to puppy classes and not feeling happy I started to read and surf the net for information but it was all so confusing and contradictory until I read 'The dog listener' by Jan Fennell, it changed my entire concept on dog training and inspired me to take my diplomas so that I could help my dog but others found out and asked for help with their dogs as well. 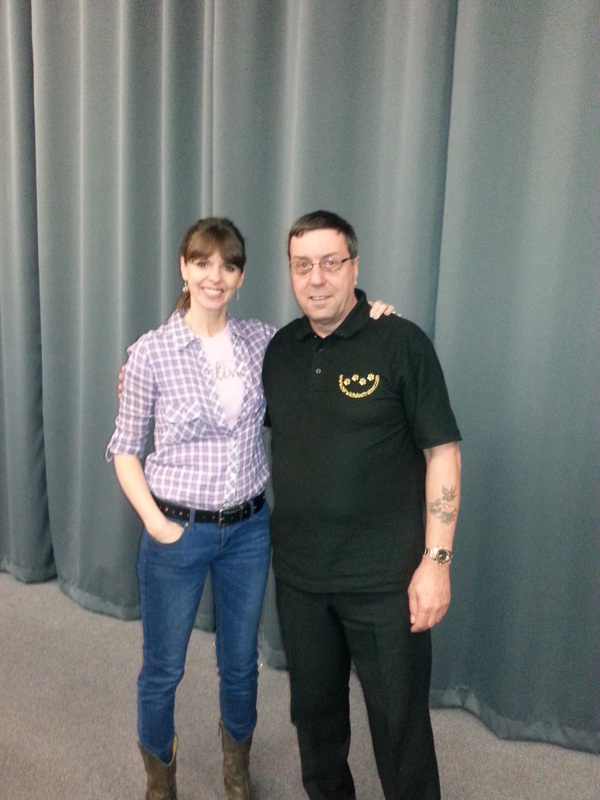 During my studies I discovered Victoria Stilwell through both her book and TV program 'It's me or the dog', I have been fortunate to have met her several time now at various conferences and I cannot recommend her techniques enough, and both study them and employ them in my dog training today. Finally I discovered Dr Ian Dunbar and have done several on line lectures by him gaining more qualifications and again I was lucky enough to meet him too after attending one of his lectures. I am proud to say that after nearly two year’s hard work on both my dog training and dog psychology diplomas, I was delighted to pass both with distinction, and continue to study regularly to this day. Since then I have been lucky enough to have helped literally hundreds of dogs and their owners and have received some wonderful and humbling testimonials that you are welcome to read. 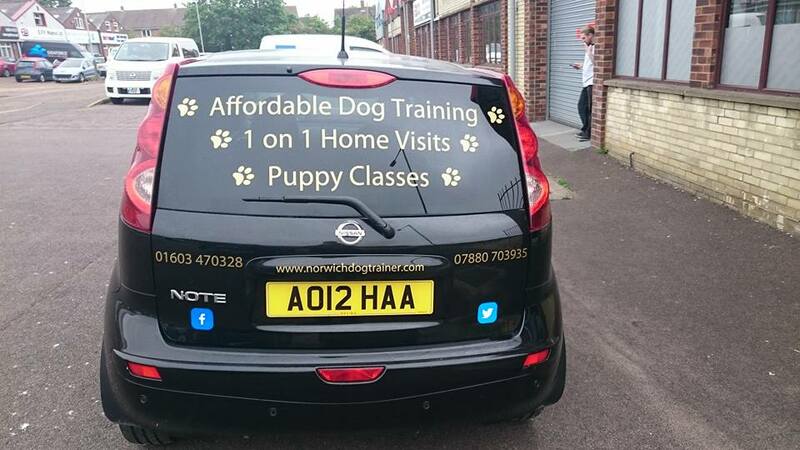 I started the Academy of dog training and behaviour course in July 2014, finished less than one month later. 6 modules in total and an A+ for each one! Really enjoyed it and it gave me the information needed to expand my training, and I am now a fully approved instructor. I have attached a form for you to be listed on the ADTB site as a fully approved Instructor"
I know it's dark but I want to play now! Soggy Doggie walking in the Lake District in sunny June.